Images like this one are a thing of the past in Colombia. 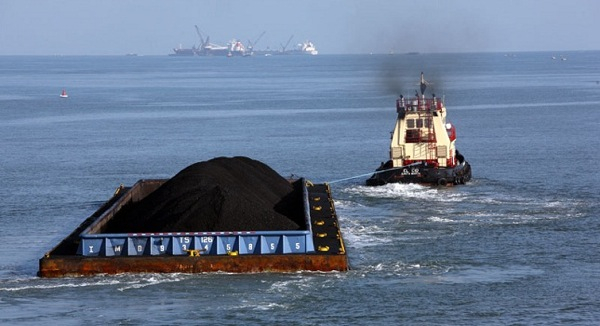 US-based Drummond has declared force majeure on coal shipments from Colombia after failing to finish building a $350 million direct loading facility at its Cienaga port, on the Caribbean Sea, in time to meet new environmental standards. Instead of using the old-fashioned two-step system, which implies loading barges at the docks to take them to the ships, coal miners are now expected to load their output directly. But Drummond said the two-month labour strike that affected its operations last year, also delayed construction of its new port. Colombia’s second-biggest mining company now expects to have ready a conveyor system that loads ships directly by March. Last week, Colombian authorities said Drummond could, in the meantime, export some of its coal through Puerto Nuevo port, operated by Glencore Xstrata's (LON:GLEN) subsidiary Prodeco. However an industry source told Reuters that Puerto Nuevo was operating at full capacity and had no room to carry coal from its rival miner. “Whilst Drummond clearly overestimated its position as a big contributor for the Colombian arks, the decision to put a stop to the operations is an economical hara-kiri and demands a careful analysis,” says OPHIR Mining, Resources & Investment in its Monday report. The experts add that Drummond negligence could have been managed through sanctions that didn’t imply harming the economic chain, as it is interrupting all of Drummond’s shipments, which are equivalent to a third of the total coal production in Colombia. Over 4,000 jobs could face temporary suspension, and the government has warned Drummond that will not allow lay-offs as the company has had seven years to complete the upgrading. 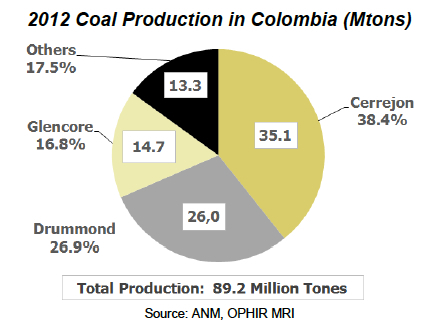 Some of the world's top mining companies have operations in Colombia, including Anglo American (LON: AAL) and BHP Billiton (ASX: BHP), which jointly own Cerrejon, the country's largest coal producer.